Truth: I derive great pleasure in the simple things about life. A cup of hot tea, sweetened just right. Super cozy quilts, snug in bed. Book light blazing, the only glow in the room. 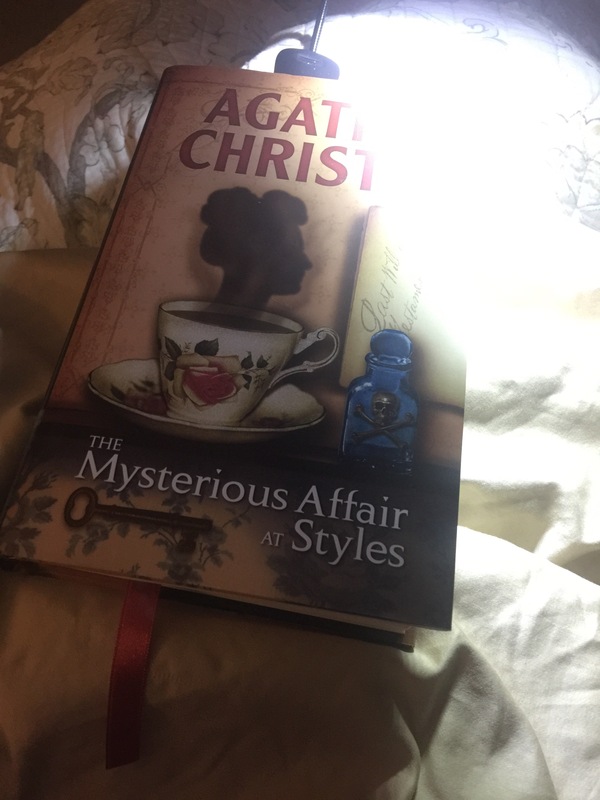 My cheesy love of Hercule Poirot coming alive with mystery, in the simple yet elegant writing of Agatha Christie. The house so very quiet, the only sound the gentle lapping of ocean waves emanating from my phone. Almost like being seaside. The only real thought in the moment… every book should be a hardback, with a ribbon sewn into the spine for your bookmark. How wonderful… the simple things and a quiet life of peace and contentment. Life’s not always about ‘getting out there’. Often the greatest magic is found in simple pleasures and a quiet life. …. and a little “who-done-it” — Like Colonel Mustard, in the Library, with a Wrench. That however, is a game for another rainy day. Be bold– Do less and BE more! I have so learnt too… Be More! Similar to what my grandfather told me once “If you want a healthy relationship, with yourself or anyone else… get out of the house at least once a week.” He was referring to always ‘dating’ my grandmother and their Saturday night dancing but it certainly applies to anyone. Even if you’re single you got to get out.